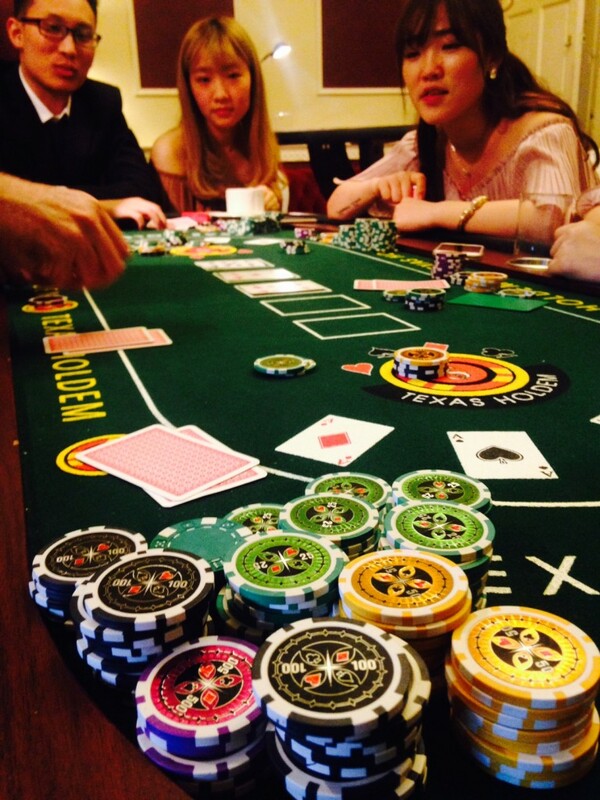 Texas Hold ‘Em is the fastest growing recreational game in the world. Over the last few years Poker websites on the internet have grown by the thousand and TV has played host to some of the major poker events around the world. Why is it so popular? Its easy to pick up the basics and its the only game where the best hand doesn’t always win. Sometimes all you need is a good bluff and a strong poker face! 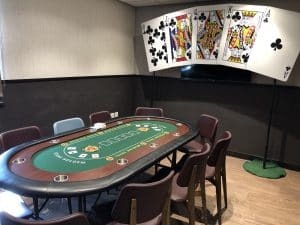 A brilliant game as part of your Corporate Event or Staff Party, as you would be able to pre-organise a tournament for people to enter and then whoever accumulates the most chips on the night is the winner. 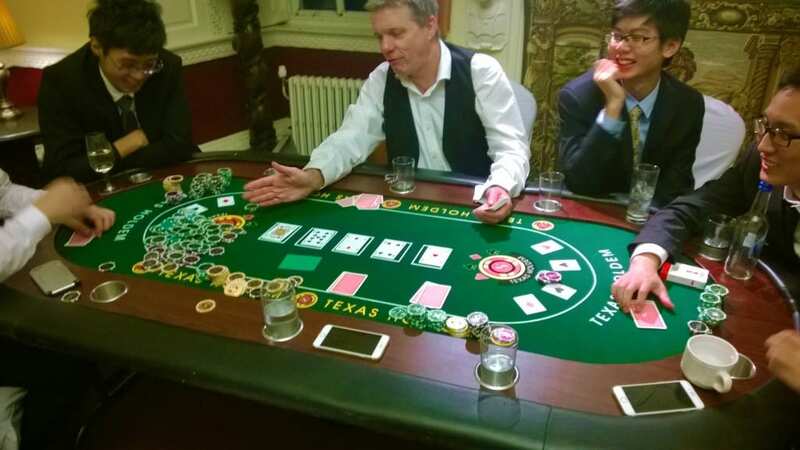 Incredibly good fun for Private Parties where our croupier will run the table and leave you to concentrate on working out your opponents hand. Perfect for Stag Events too where you are looking to have a great night in and gamble the night away.………………………………….. …………..
Players receive two (pocket) cards upon which they bet prior to a further three communal cards being shown (the flop), a further two communal cards, the turn and the river are displayed with rounds of betting. Players must make the best poker hand of 5 cards from the 5 communal cards and their own 2 pocket cards. 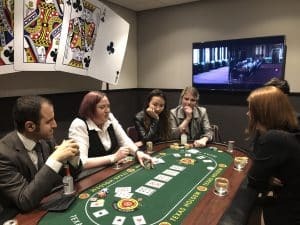 The Bond movie Casino Royal reinforces Texas Hold ‘Em as the gamblers choice, replacing James Bond’s traditional game of choice Baccarat, which was played in all previous James Bond movies. Fortunes were won & lost at Baccarat. 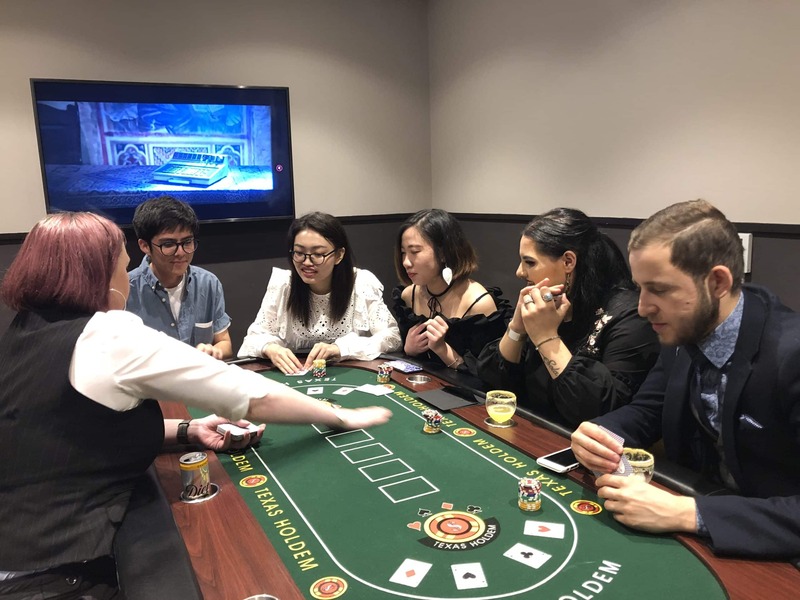 Today however, the highest stakes to be wagered in any casino game worldwide belong to those players at the Texas Hold ‘Em tables, who chance all in the game commonly known as the Aston Martin of Poker.